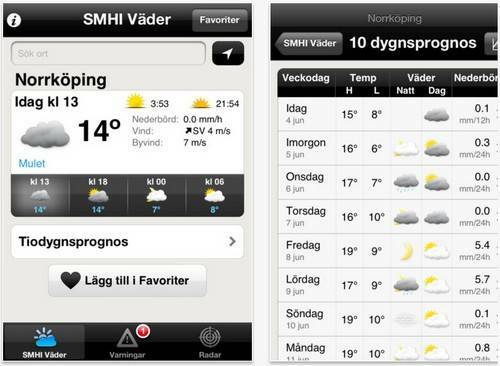 SMHI VÃ¤der, sounds like the dark lord of the Sith from Star Wars doesn’t it, but it means weather in Swedish, so what we are looking at here is a weather app for Swedish iOS device owners called SMHI VÃ¤der, and an iOS app that delivers local weather conditions for locations across the world. The SMHI VÃ¤der (Weather) app for iPhone, iPod Touch and Apple iPad, delivers to the user a ten day detailed and daily summary view of the weather as a quick overview or as a graph, along with delivering a summary of all warnings that are issued in Sweden. With the SMHI VÃ¤der (Weather) iOS app the user receives weather warnings and alerts sorted in order with the most severe at the top, whilst to gain an overview of the rainfall the user can access a radar image of the Nordic countries with that radar image lasting six hours. 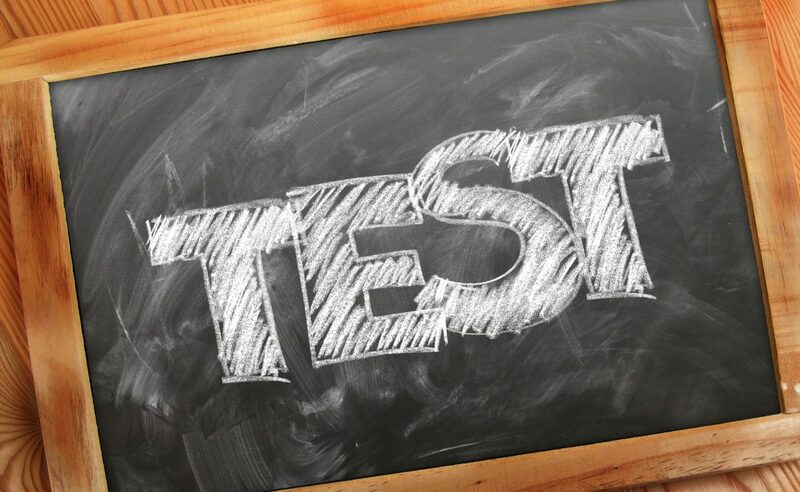 Weather forecasts when using the SMHI VÃ¤der (Weather) app are updated a minimum of six times per day, with the forecast database created from high resolution forecast models, with meteorologists adjusting the forecast as necessary. Warnings issues by the SMHI warning service along with radar images are compiled of data from thirty weather radar in Sweden, Denmark, Finland, Norway, Latvia, and Estonia. For those iOS faithful over in the Nordic countries that would like to take advantage of what the SMHI VÃ¤der (Weather) app offers you can of course download the updated application to your chosen iOS device as a free download by hitting up iTunes.